Working with Attorney General Brian Frosh and our broad based Prescription Drug Affordability Coalition, we successfully advocated for Maryland’s new landmark price gouging law. Effective October 1, 2017, this law will grant the Attorney General the authority to hold pharmaceutical companies accountable for “unconscionable” increases in generic or off-patent drugs. This measure has the potential to rein in rising health care costs, reduce health insurance premiums and promote more equitable health outcomes. An “unconscionable” price increase is one which is excessive and unjustified, and which results in harm to consumers because of the importance of the drug to their health and because there is insufficient market competition to ensure access to the drug. Impose a civil penalty of up to $10,000 for each violation. and, protect the confidentiality of certain information provided to the Attorney General by manufacturers or wholesalers. Prescription drugs account for one of the fastest growing segments of health spending in the US. 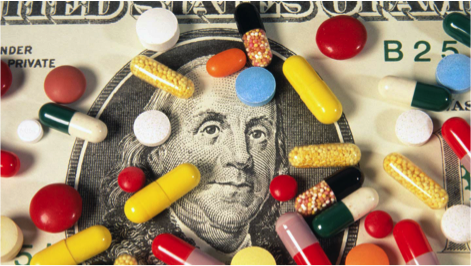 Nationally, we’ve seen figures that indicate spending on high-cost drugs alone is expected to more than quadruple from $87 billion dollars in 2012 to $400 billion in 2020. Containing rising health care costs means containing prescription drug prices. Our new law is only a start. We need your help to advocate for additional legislation to rein in rising prescription drug prices. If you want to help us build on our success, take action! Make a donation to the campaign through our Network for Good page. Join our email list to get periodic updates on the Prescription Drug Affordability Initiative. Share your story about how price gouging has affected you and highlight cases of suspected price gouging that the Attorney General may now pursue. Check out our 2018 Prescription Drug Affordability Initiative which builds on this success.